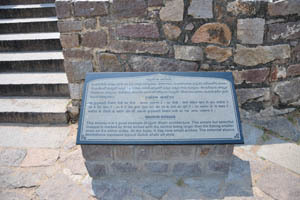 Royal palms at the entrance to the fort. 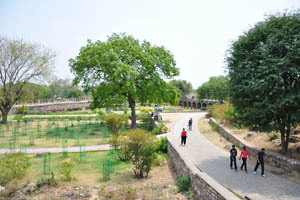 Tiled pathway to the fort. 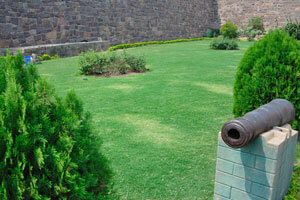 Green lawn at the entrance. 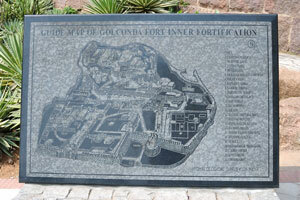 Guide map of Golconda Fort inner fortification. 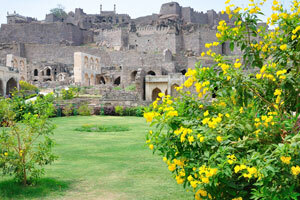 Yellow flowers of the fort. 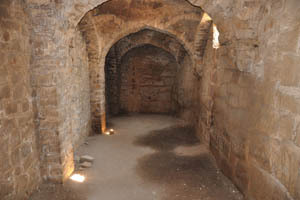 Small empty bath beside the arched building. 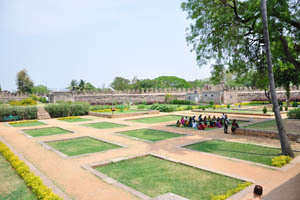 Inside the Akkanna Madanna Offices. 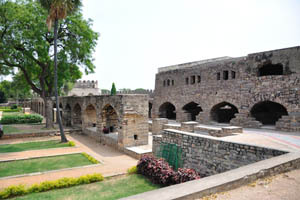 Low arches of the Akkanna Madanna Offices. 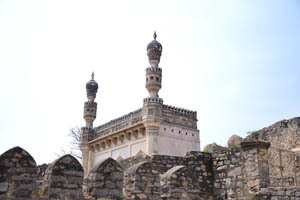 Rangeen Mahal, Nakkar Khana and Taramathi Mosque. 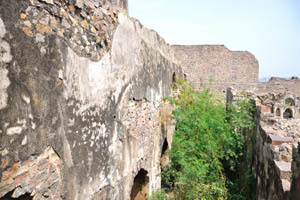 The middle wall of the fort. 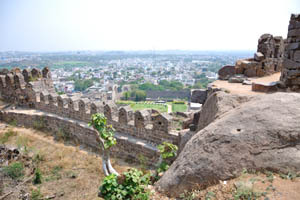 High wall of the fort. 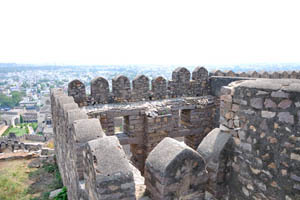 Rangeen Mahal, view from the top. 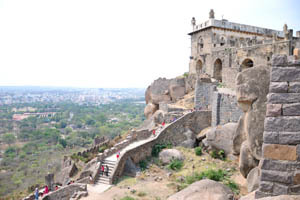 One of the towers is painted inside. 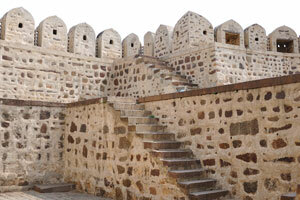 Bordering wall of Nagina Bagh. 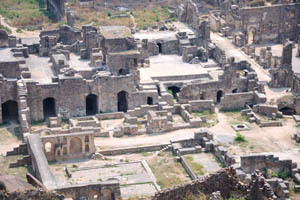 Aslah Khana, view from the top. 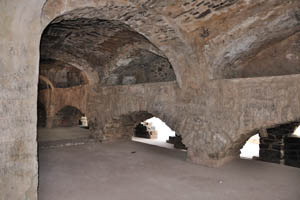 Each one could be inside the arch. 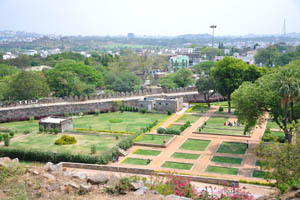 Hyderabad view from the fort. 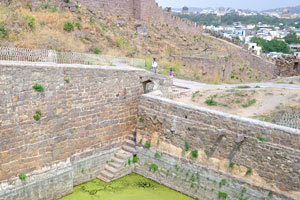 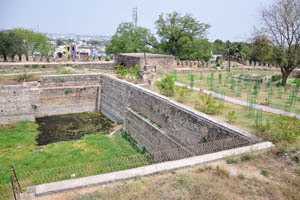 Pool of the fort was overgrown with algae. 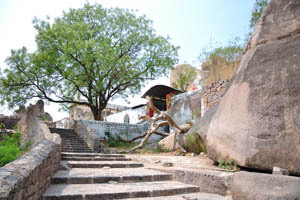 Tiled pathway to the top. 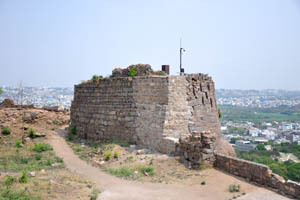 The upper part of the fort. 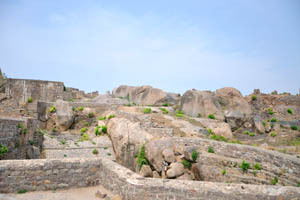 Long winding pathway to the top. 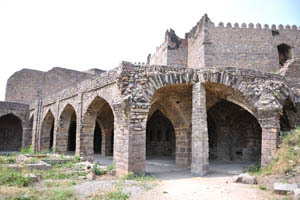 Ramdas Prison inside, the room without the windows. 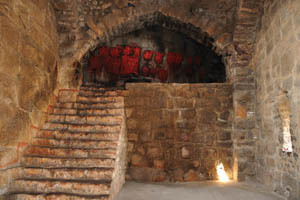 Ramdas Prison inside, red and black spots on the inner wall. 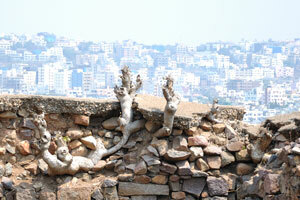 The tree has grown into the wall. 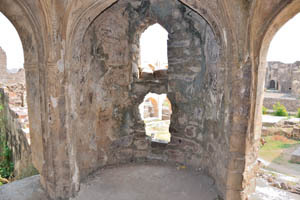 Strange form of the window. 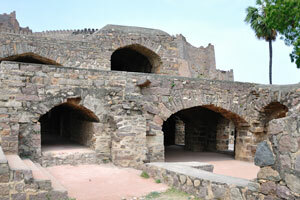 It is a very arduous task to discover every nook of the fort. 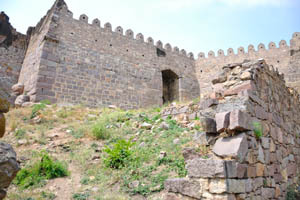 The wall consists of the nature rocks and the artificial stone bricks. 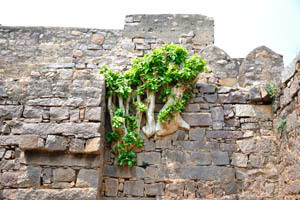 The succulent plant has grown into the wall. 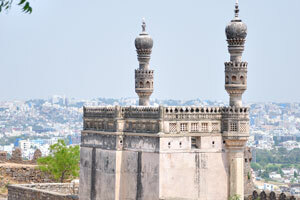 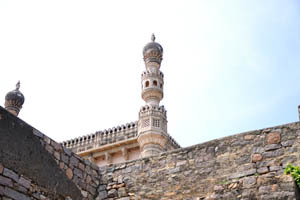 Minarets of the Ibrahim Mosque. 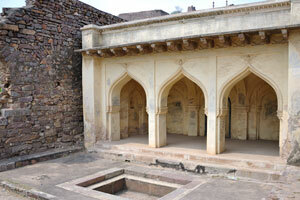 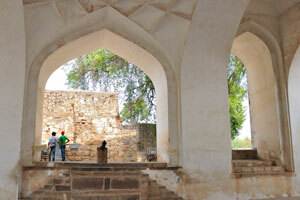 Ibrahim Mosque, this structure is a good example of Qutb Shahi architecture. 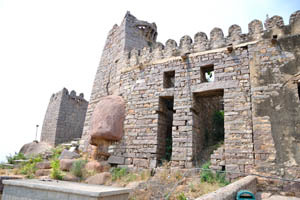 One of the fort's structures. 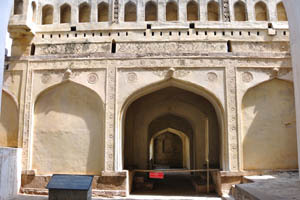 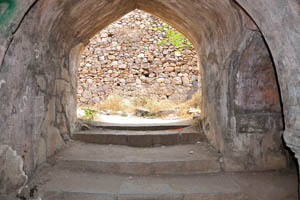 Entrance of the fort, view from the Ibrahim Mosque. 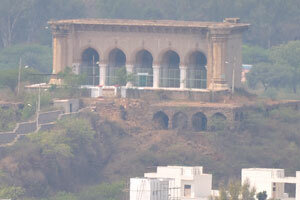 It's a strange fort's structure. 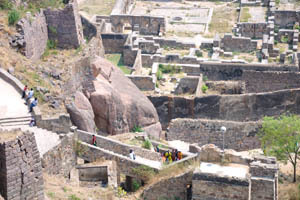 Stony landscape of the fort. 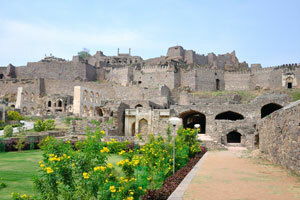 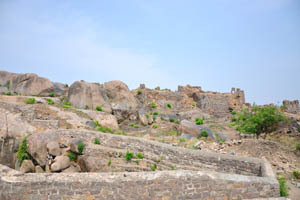 Sometimes landscape of the fort looks like a chaos. 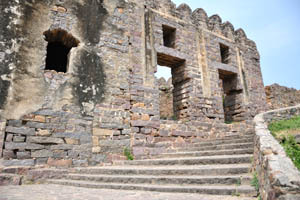 Last stairway before the highest point of the fort. 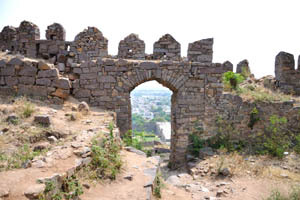 Arch has been built in the wall. 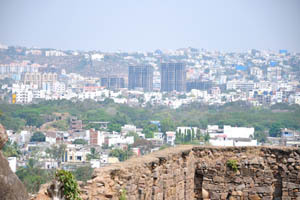 Hyderabad, view from Sri Jagadamba Mahankali temple. 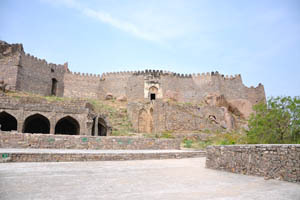 Lower part of the fort. 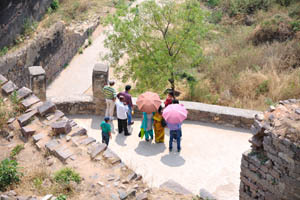 Indian travellers with the open umbrellas. 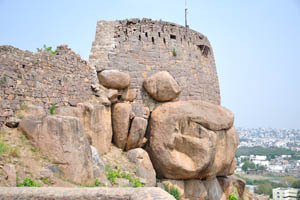 Lower part of the fort, close-up view. 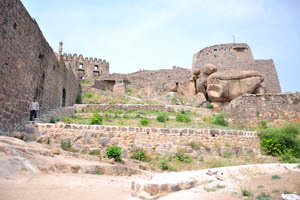 Cluster-like appearance of the fort. 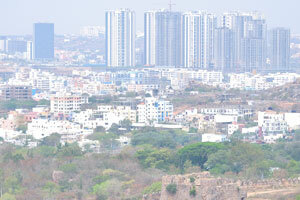 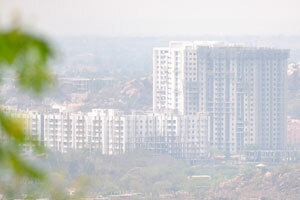 Hyderabad, the modern residential complex. 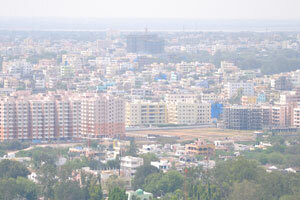 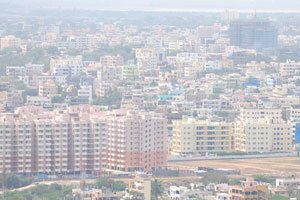 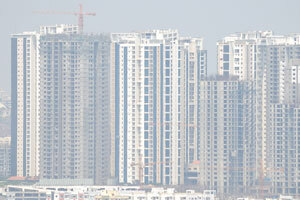 Hyderabad, new homes with apartments. 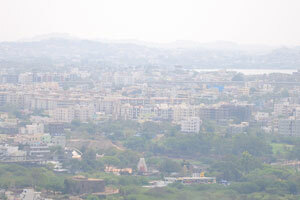 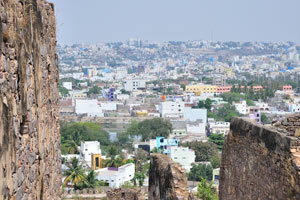 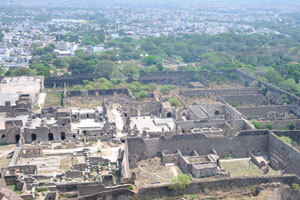 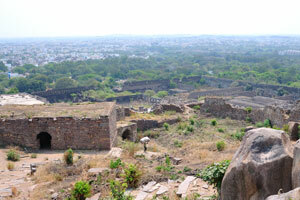 Hyderabad, view from the highest point of the fort. 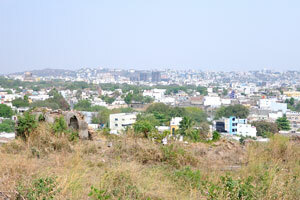 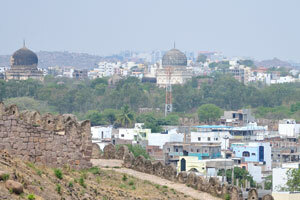 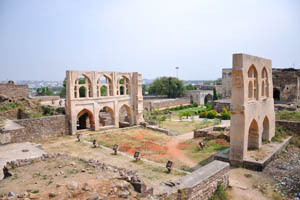 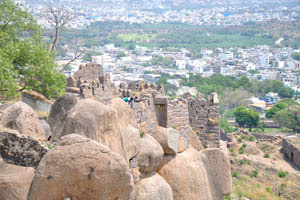 Fort overlooking the city of Hyderabad. 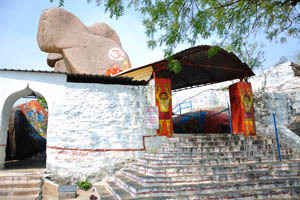 One of the entrances to the Sri Jagadamba Mahankali temple. 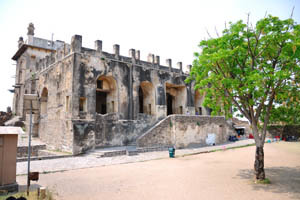 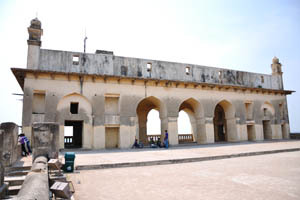 One of the buildings at the top of the fort. 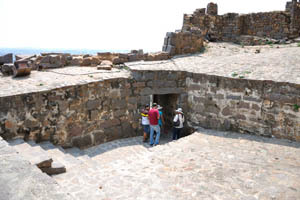 Tourists return down to the entrance. 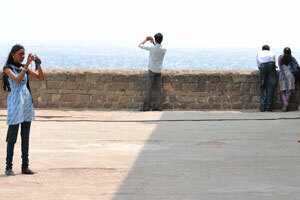 She noticed me while i was photographing her. 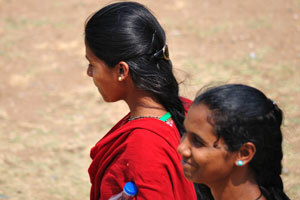 She gave me a serious look. 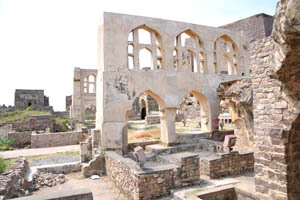 Young indian girl with the bottle of water. 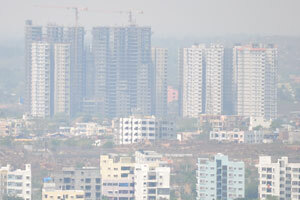 Not all of the skyscrapers have been finished. 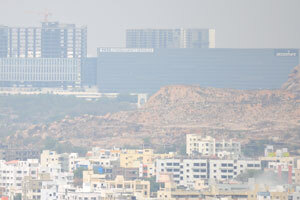 Modern Hyderabad has many high buildings. 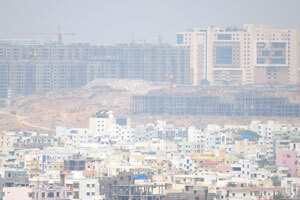 One can see the building construction everywhere in Hyderabad. 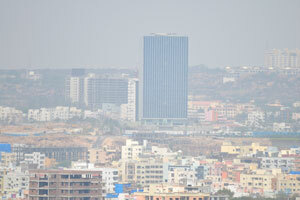 Tata Consultancy Services, view from the fort. 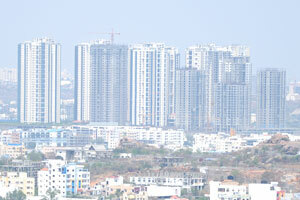 Building cranes have risen above the city. 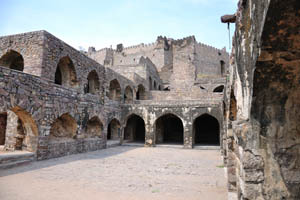 Small girl eats an ice-cream. 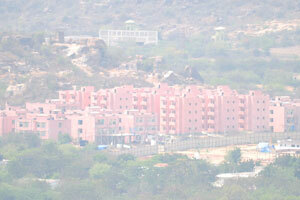 New residential complex with the low apartment houses. 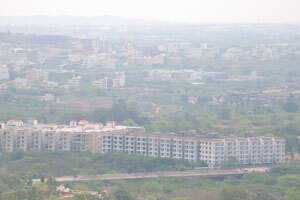 Modern residential complex in Hyderabad. 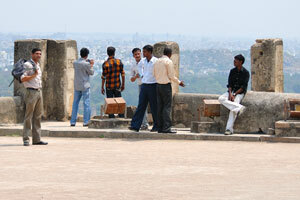 Tourists are photographing at the highest point of the fort. 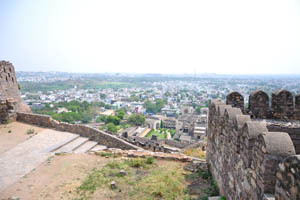 The best place to see the entire city. 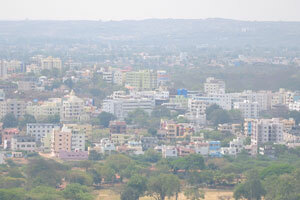 The most modern Indian city. 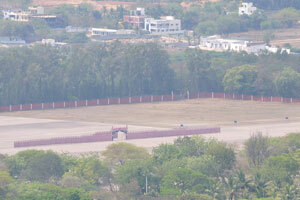 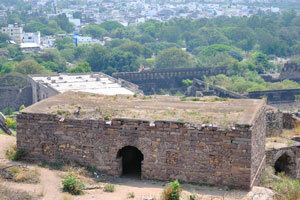 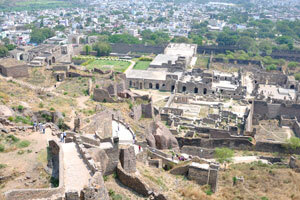 One can see this ancient building from the top of the fort. 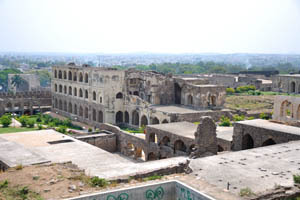 Fort overlooking the skyscraper complex of Hyderabad. 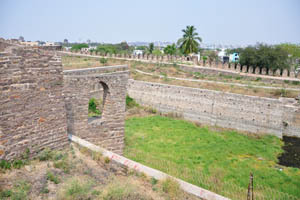 Wide wall of the fort. 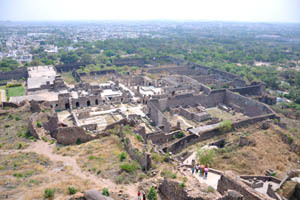 Fort overlooking the small residential complex of the city. 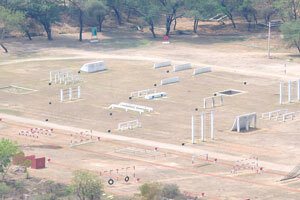 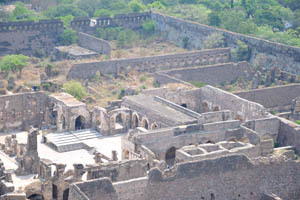 A bird's-eye view of the fort. 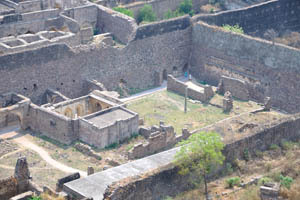 Sections of the fort from the bird's-eye view. 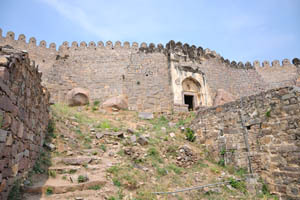 The most high building of the fort. 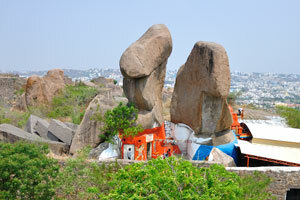 The temple was founded on the huge stones. 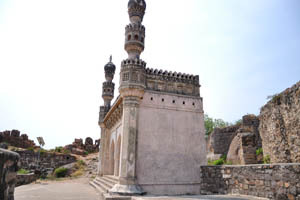 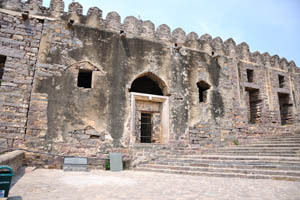 One of the mosques of the fort. 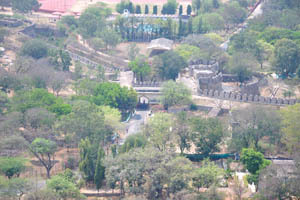 A bird's-eye view of the entrance to the fort. 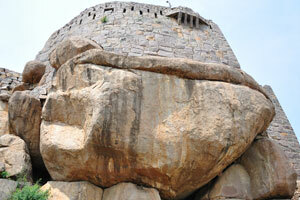 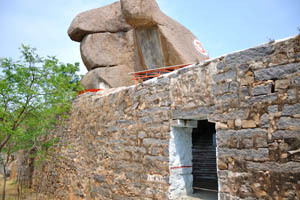 Huge stone lays in the foundation of the fort's tower. 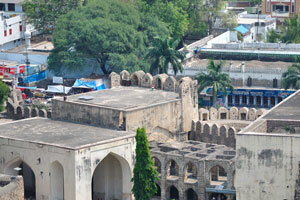 View of Qutb Shahi Tombs from the fort. 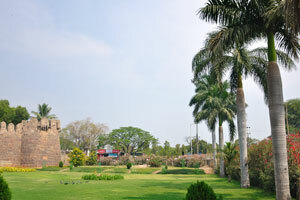 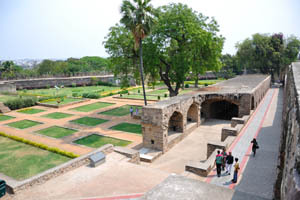 Green lawn of the fort. 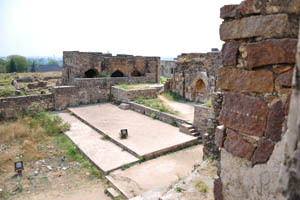 One of the pools of the fort. 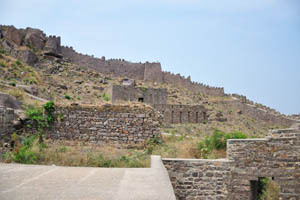 One more view of the wall. 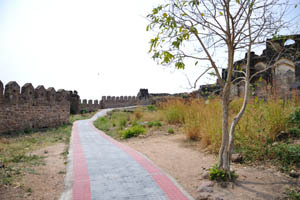 Pathway in the lower part of the fort. 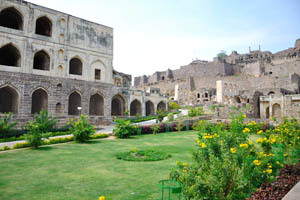 Lovely place for the lunch. 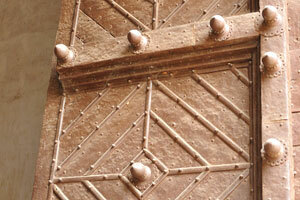 It's time for a lunch break. 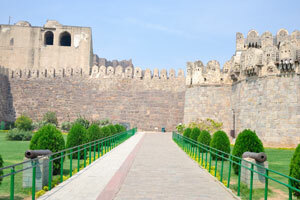 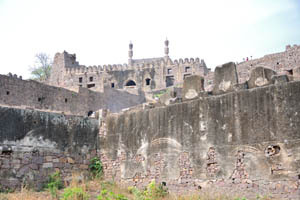 Golconda Fort view from the entrance. 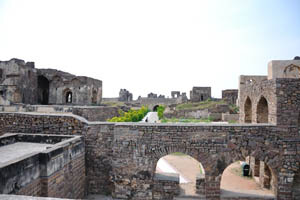 Massive gate of the fort.